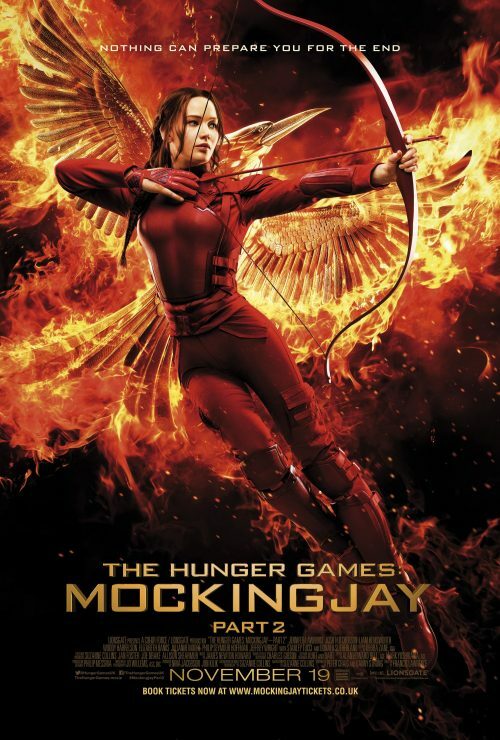 The Mockingjay is back with a new poster. This shows Katniss with her favourite weapon. The bow and arrow. It shows what Katniss is thought to be in the eyes of the persecuted districts. Is it the real person or just another propaganda poster? We do know what shw has been trough but that doesn’t come out in the poster. She is the heroine. Fighting for the districts but with many problems.